What percent of your most vexing problems are created by just a few of your clients? It’s probably a high number. Let me put this more positively: Have you noticed that if you start with the right client, everything is easier? The sale goes faster. The client is more trusting. You partner well together. You’re able to have a strong impact on the client’s business. And often, your margins are higher because you are matched with a client who values what you do. To make sure you end up with the right clients, there are three filters or screens you need to apply. Large multinationals can go after a broad range of clients. But if you’re a smaller firm or solo practitioner, you need to think through your list of criteria pretty carefully. If you’re small and have overly-broad criteria, you may not be able to compete effectively. For example, since one of my important focal points is how to develop and grow client relationships, I screen for clients who are trying to build trusted, consultative relationships with senior executives. Someone else’s focus would likely be completely different and, hopefully, uniquely matched to their particular strategy. Question: What types of clients represent the best strategic fit with you and your firm, given the type of value you add and the solutions you provide? Does the client have a history of building productive, long-term relationships with external providers? Does this organization have a good reputation? Is the leadership and the company culture aligned with or at least not in conflict with your core values? Do you sense, from the very first meeting, that you will be treated with courtesy and respect? If you don’t have a visible impact, you probably won’t have an enthusiastic client who is referring you to others. So screen for this right from the start. Be like the surgeon who keeps their success rate high by only accepting patients who are excellent candidates for their particular procedure! Here are five principal factors you should assess to determine the potential for impact. First, is it the right issue? Is the problem causing serious pain? Is the client determined to address it? Is the issue in your sweet spot as a firm? Second, are you dealing with the right executive? Do they have the organization’s respect and the authority to support and sponsor you and your company? Can they make a decision to buy? Third, is the client large enough—or might it reasonably be in the future—to support your ambitions? Small clients can be valuable in a number of ways, but they can also deplete your time and energy while yielding little return. Fourth, does the client have strong leadership? A highly ambitious, well-managed client is usually a pleasure to work with and should be able to successfully implement your solutions. A client that is disorganized, politicized, and lacks coherent leadership at the top, however, can be a nightmare. 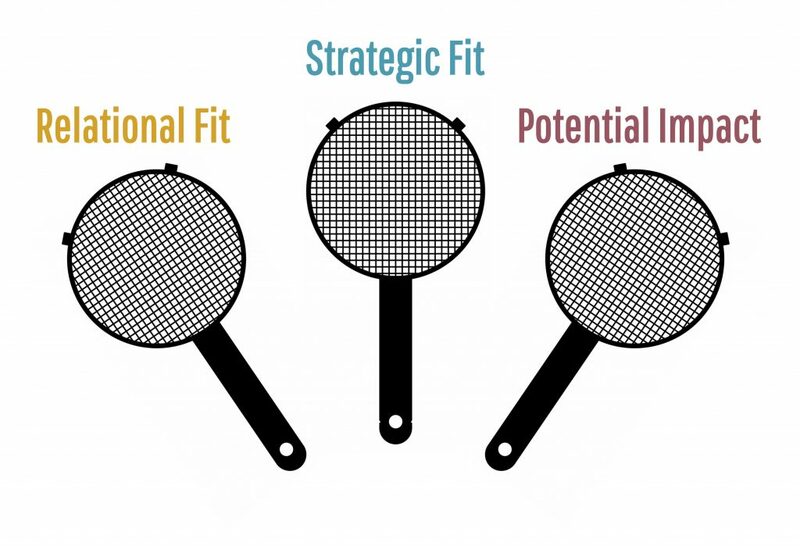 How many current clients would meet your criteria for these three filters—Strategy, Relationship, and Impact?